Effective coolants are vital to optimizing performance and extending engine life. Our patented organic corrosion inhibitors eliminate the need for supplemental coolant additives and improve hardware performance and heat transfer over the life of your engine. Effective coolants are vital to optimizing performance and extending engine life. Our patented organic corrosion inhibitors eliminate the need for supplemental coolant additives and improve hardware performance and heat transfer over the life of your engine. 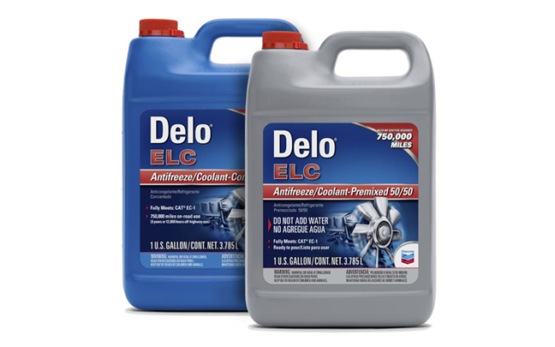 Delo Extended Life Coolants (ELC) are recommended for virtually all diesel and natural gas engines and include patented technology that keeps cooling systems running cooler, cleaner, and with less downtime. 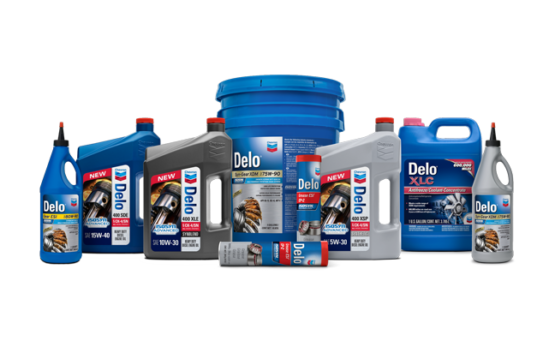 Tested over millions of miles, in every major U.S. heavy-duty engine, Delo ELC can protect for 750,000 miles/8 years/12,000 hours. Also available as a Nitrite-free pre-diluted 50/50 coolant. HDAX Prediluted 50/50 Coolant/Antifreeze Phosphate Free is a single phase, ethylene glycol-based coolant/antifreeze designed for use in stationary natural gas engines and in heavy duty on-highway and off-highway diesel engines. It uses a low silicate technology plus a complete supplemental coolant additive package that provides maximum protection for basic metal alloys found in most heat transfer systems. HDAX Prediluted 40/60 Extended Life Coolant/Antifreeze is formulated with Chevron's patented carboxylate corrosion inhibitor technology for use in heavy duty stationary natural gas engines that require improved heat transfer performance and long-life cooling system protection in a wide range of operating conditions. Heavy Duty Coolant is recommended for on-road, off-road and stationary applications where a fully formulated, non-extended life coolant is recommended by the OEM. Chevron HTF P-150 is an inhibited propylene glycol used as a heavy duty industrial coolant and heat transfer agent. The inhibitor system is designed to protect brass, copper, solder, steel, cast iron, aluminum, and other metals commonly found in industrial cooling and heating systems. A foam inhibitor is included to minimize foaming tendencies during service. 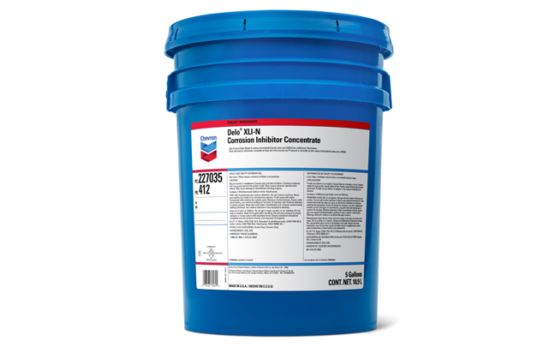 Chevron HTF P-150 coolant is recommended as a coolant in stationary engines, in applications such as natural gas processing, irrigation, power generating systems, oil field operations, and portable air compressors. Chevron HTF P-150 should not be used in automotive or non-stationary heavy duty diesel applications. Chevron HTF P-200 is a silicate free coolant designed and approved for use in immersion or spray freezing equipment of packaged poultry or meat under the Federal Meat and Poultry Products Inspection Program. Chevron HTF P 200 should not be used for automotive or non-stationary heavy duty diesel applications. 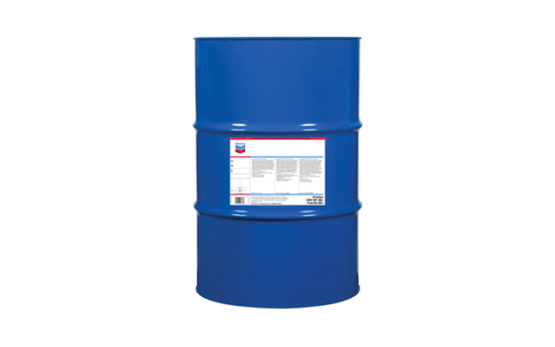 Chevron HTF E-100 is an exceptional quality single phase, ethylene glycol concentrate used in heat transfer applications or as an industrial coolant/antifreeze product. It is a readily biodegradable, silicate free coolant designed to minimize deposits that could reduce heat transfer. Chevron HTF E-100 coolant is recommended for use in heat transfer and cooling system where a silicate free, nitrite free ethylene glycol based coolant is recommended by the equipment manufacturer (OEM). Delo XLI is a low-toxicity, environmentally friendly inhibitor concentrate that provides extended life corrosion protection in aqueous solutions for all engines metals, including iron, steel, brass, copper and solder alloys. Unlike conventional corrosion inhibitors that must be replenished on a regular basis, Delo XLI eliminates the need for regular inhibitor additions due to the extended life properties of its patented corrosion inhibitors. Delo XLI provides superior protection for a minimum of 600,000 miles/12,000 hours/8 years in on-road and off-road engine applications and 32,000 hours/8 years in stationary engines.